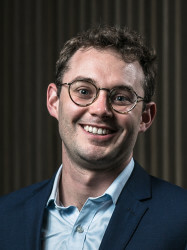 Thomas Hone is a research fellow at the Department of Primary Care & Public Health. He joined in January 2014, completing his PhD on the impact of primary care in Brazil in the department in February 2017. He completed his undergraduate degree in Natural Sciences at the University of Cambridge before starting a Masters of Public Health (MPH) at Imperial College in 2012. Thomas's main research focus in evaluating primary healthcare programs in low and middle income countries. He works closely with Professor Chris Millett at the Department of Primary Care & Public Health. His work has been based in Turkey and Brazil - two countries which have undergone rapid expansion of primary healthcare in recent years - and collaborates with researchers there. He looks how expansion of these programs has contributed to changes in health service utilisation and health outcomes, and the wider impact on equity. He also maintains interest in a wide range of other topics relating to health systems and policy including: health systems financing; financial risk protection; and policy evaluation.